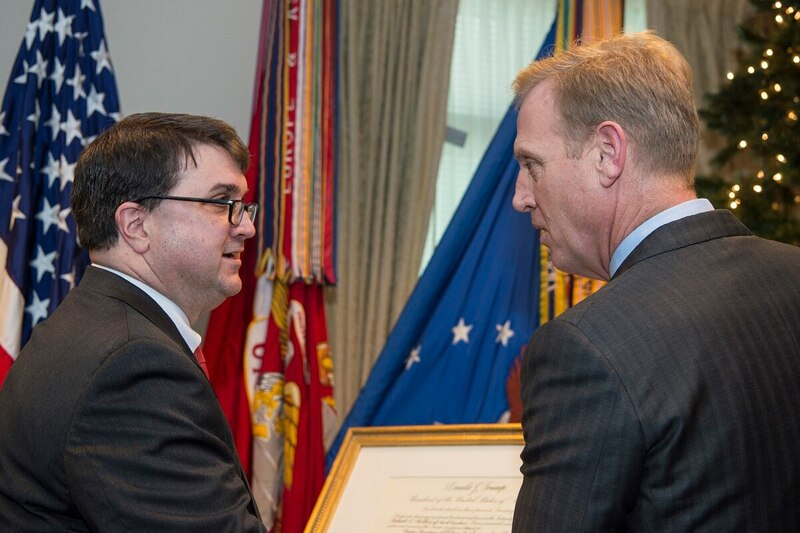 WASHINGTON — Advocacy groups sued the White House on Monday to remove acting Veterans Affairs Secretary Robert Wilkie from that role, arguing his appointment violated federal law. Wilkie, who also serves as the Defense Department’s under secretary for personnel and readiness, was named the acting head of VA last month when President Donald Trump dismissed then Secretary David Shulkin over Twitter. But Wilkie’s appointment has raised concerns among multiple veterans groups, who have complained the role should have gone to Deputy Secretary Thomas Bowman, the next leader in line at the department. Like Shulkin, Bowman in recent months has sparred with White House officials on policy matters, but White House officials have not yet said whether he will lose his job. The lawsuit, filed by the left-leaning VoteVets and executive branch watchdog Democracy Forward, charges that by bypassing Bowman, Trump violated the Federal Vacancies Reform Act along with other federal statutes. Shakeup also impacts office that oversees defense health, education programs, exchanges and commissaries. White House officials have said that Shulkin offered his resignation, opening the door to Wilkie’s appointment. Shulkin has insisted that he did not resign. Administration officials have not made public a resignation letter or other document to support their claim. On Monday, White House and VA officials referred comment on the new lawsuit to the Justice Department. Officials there said they are reviewing the filing. If successful, the lawsuit would not only remove Wilkie from office (replacing him with Bowman) but also invalidate any decisions or contracts he has authorized in his month at the post. But officials from VoteVets said they believe the move to put Wilkie in charge was designed to allow individuals within the administration to put forward a series of controversial reforms with less visibility, including plans to outsource more VA care to the private sector. “Robert Wilkie never had hearings to examine his views of veterans’ care, or how he envisions the VA working,” said Will Fischer, director of government relations for the group. A confirmation hearing on a permanent VA secretary was scheduled to take place last week, before allegations of unprofessional conduct arose regarding nominee Rear Adm. Ronny Jackson, the White House physician. He withdrew his name from consideration just days after Republicans and Democrats in the Senate agreed to postpone that hearing. Trump has yet to name Jackson’s replacement, a delay which could leave Wilkie in the acting secretary role well into the summer. 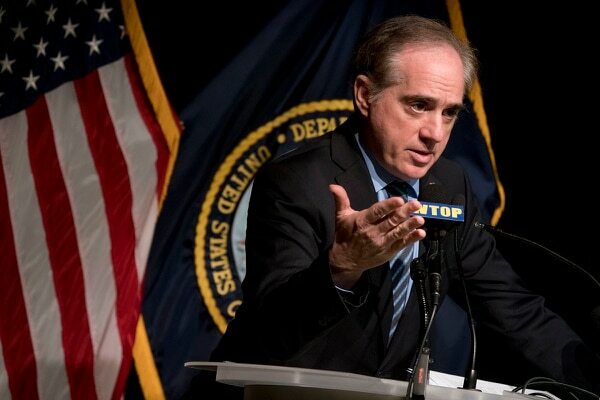 The last acting VA secretary to serve more than a month in that role was Sloan Gibson, deputy secretary at the department when former VA Secretary Eric Shinseki resigned. He held the post for two months during the confirmation process for Robert McDonald, then returned to the deputy role.